Israel’s Nana Winery has created their own blend. The Nana Estate Winery is just one of approximately 250 wineries that have, quite literally, cropped up in Israel in recent decades. Together, they’ve turned the small Mediterranean country into not only a wine lover’s paradise, but also a haven for viticulture experts. Which brings us to Zohar Kerem. The 57-year-old heads up Hebrew University’s master’s program in winemaking. To earn the degree, students spend 20 months taking classes in everything from agricultural studies to business management. It’s all capped off with an excursion to the University of Bordeaux in France where they get firsthand experience in one of winemaking’s most storied regions. Kerem, who grew up in the fertile plains of Israel’s Jezreel Valley, began his career as a chemist before pivoting to food science. Like the wine he studies, his research is bold and complex: One day he may be looking into the health benefits of drinking wine, while on another he’s focused on how Israel’s unique climate can serve as a laboratory for liquor. It’s the latter that has him particularly jazzed today. Climate change is impacting the world’s leading winemaking countries – like France and Italy – and they are increasingly turning to Israel as a resource for how to better grow grapes in such arid temperatures. Drip irrigation techniques, which were modernized in Israel more than half a century ago, are continuously being refined. WiFi-connected drones now fly over vineyards to study every single water drip in the process, allowing winemakers the ability to irrigate specific vines. Several Israeli startups are focusing on other agricultural and fertilization technologies. What’s more, Kerem and his colleagues are researching the archaeology of Israeli wine, which dates back for centuries. As an example, he points to an epidemic called the “phylloxera plague” which destroyed most of the grape vineyards in Europe more than 150 years ago. New roots had to be shipped in from America to graft with the European vines to help them grow again. Meanwhile, many of the vines in Israel proved resistant to the disease. Studying why could lead to the introduction of new varietals of wine, if not new flavors entirely. A pinot grown in one country will taste different when grown in other conditions. “There are varietals that are known to work well in different geographical regions, and we try to introduce them to different climate zones in Israel and see how they perform there,” Kerem explains. The master’s students he oversees are each given their own row to tend to in a vineyard in Israel. “It’s a scientific experiment, which we then harvest and try to see what are the differences,” Kerem says. With 20 rows of cabernet, for example, they can try different levels of irrigation to see which produces the best wine. As all the classes are taught in English, many of the students come from outside of Israel. The hope is that upon completing the program, they return to their home countries and take what they learned from Israeli winemaking to the wider industry. 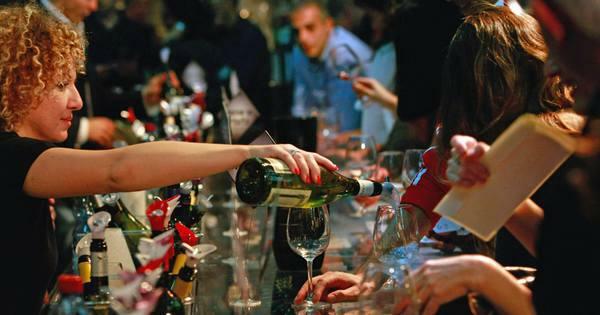 Varietals from Israel are already competing with the likes of wine from Napa and France in international competitions, which makes it an exciting time for wine enthusiasts. “I wasn’t born with a glass in my hand,” says Kerem, who admits to catching up by trying a new wine every week.